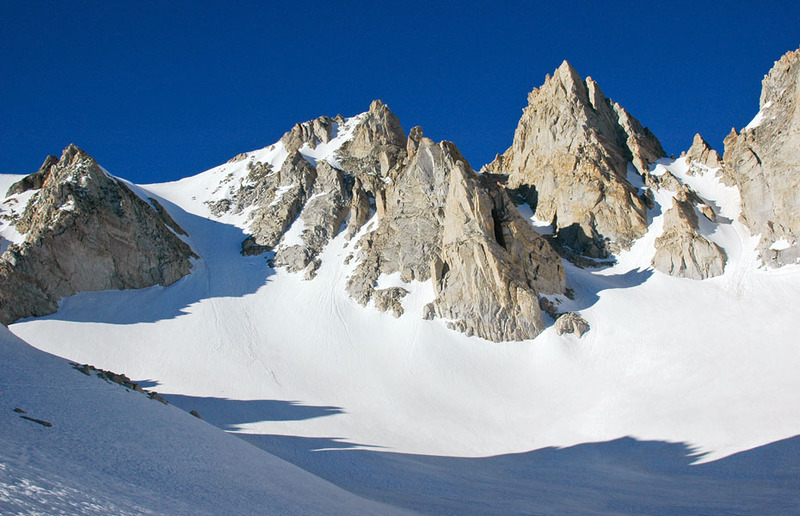 Easily one of the friendlier ski descents in the Northern Sierra, 12,279' Matterhorn Peak and its East Ridge Ramp offer exciting skiing without a heroic approach. No, it's not the real Matterhorn, but it's still well worth a visit. Matterhorn Peak, California.